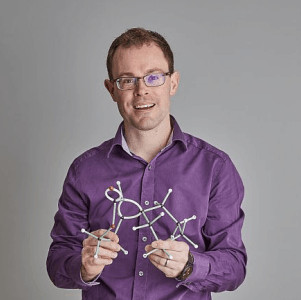 Peter is a chemicals and materials specialist at ForrestBrown and a chartered scientist. He supports the tax team in their work, in particular for companies in the chemical, pharmaceutical, manufacturing, engineering and food sectors. Peter gained a degree in chemistry from the University of Nottingham. He followed up with a doctorate in organic chemistry with a focus on the development of novel chemical reactions. During this time he undertook several placements in the pharmaceutical industry. After completing his studies, he worked at Mars as a chocolate scientist on formulations for improved shelf life. Peter then moved into the defence sector where he was involved in the development of a range of high performance materials. He has authored numerous papers and spoken at international conferences on the synthesis and characterisation of novel polymers and materials. Notably, Peter has had a patent granted for a new heat and radiation stable polymer. And he has been awarded a Ministry of Defence chief scientific adviser commendation, recognising the high calibre of his research and development and strong international collaborations. Peter is well-versed in the wide range of chemical and material characterisation techniques and modern manufacturing technologies. At ForrestBrown he applies his experience to support the R&D tax claims process, bridging between the technical detail and the relevant tax legislation. The world of research and development (R&D) tax credits might not always seem as straightforward as ABC… but with our expert help, it can be.